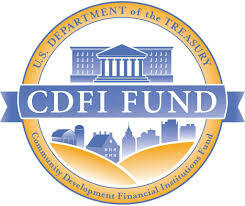 The CDFI Fund conducts monthly CDFI Certification Conference Calls which are intended to serve as a forum for potential CDFI Certification Applicants, certified CDFIs, and other CDFI certification stakeholders to ask questions and discuss CDFI certification and the CDFI certification process. To access conference calls participants need to call the toll-free number (800) 857-3385 and dial in the numeric Participant Pass-code "3197303". No prior registration is necessary. Please note the dial in process is automated. The conference call will have a moderator to direct the Q&As. The CDFI Fund conducts monthly CDFI Certification Conference Calls which are intended to serve as a forum for potential CDFI Certification Applicants, certified CDFIs, and other CDFI certification stakeholders to ask questions and discuss CDFI certification and the CDFI certification process. Access Instructions To access conference calls participants need to call the toll-free number (800) 857-3385 and dial in the numeric Participant Pass-code "3197303". No prior registration is necessary. Please note the dial in process is automated. The conference call will have a moderator to direct the Q&As.